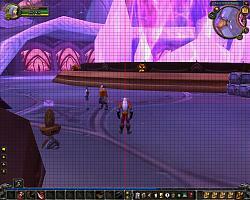 Places a configurable grid on screen to assist in positioning UI components. 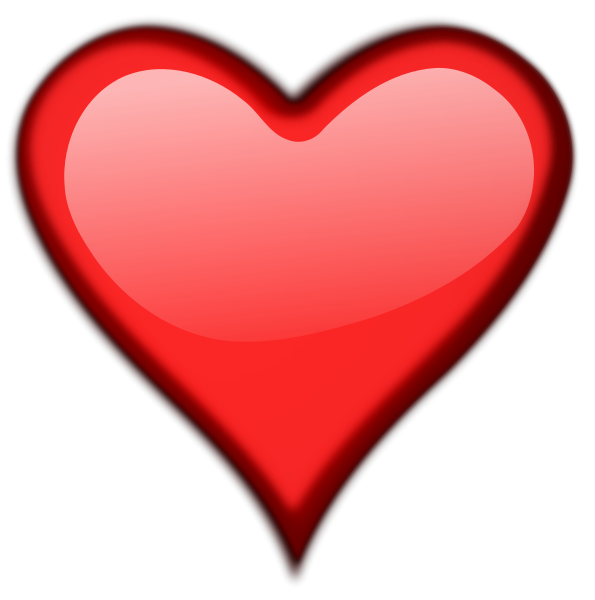 Translators: To submit a translation please just edit existing files (example: GraphPaper\Locales\zhCN.lua and GraphPaper_Config\Locales\zhCN.lua) and send them to me. I just uploaded version 1.4.11 that should fix that issue. Do you have UI scale set to anything other than 1.0 ? I have SET uiScale "0.90" and I can't replicate your issue. With that same settings. 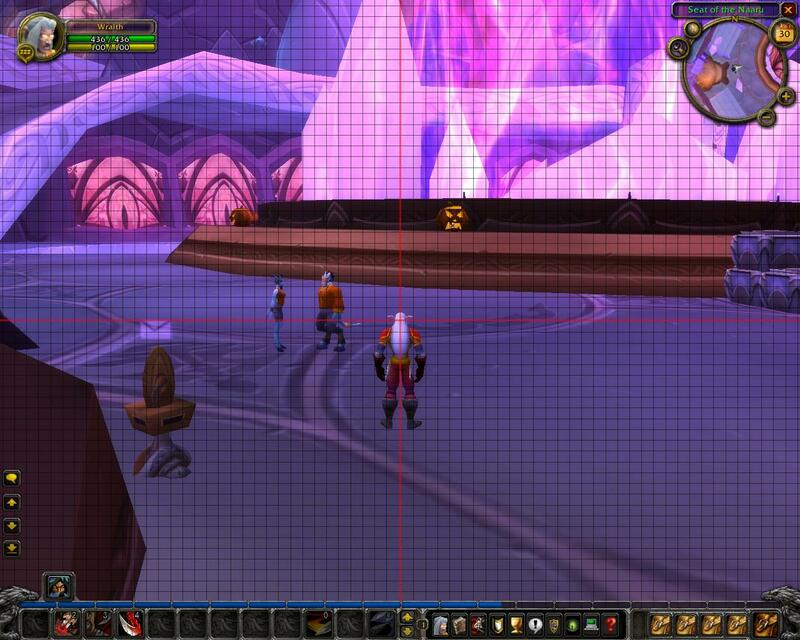 Nope, I've UI scaling set to 1.0. I don't know what happened, other than 8.1. Last edited by Wizardling : 12-23-18 at 05:33 PM. I just uploaded a new version (1.4.10) that should fix that error. Thank you for updating the mod! Oh thank you for this! It drives me batty when I can't get UI elements leveled! I won't hesitate to thank you again and again to keep my OCD happy! Adding support for a data broker (LDB) laucher would be nice. 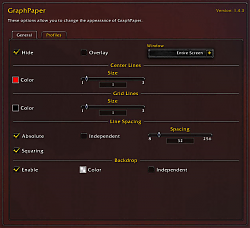 Click to turn on graphpaper, click again to turn off. 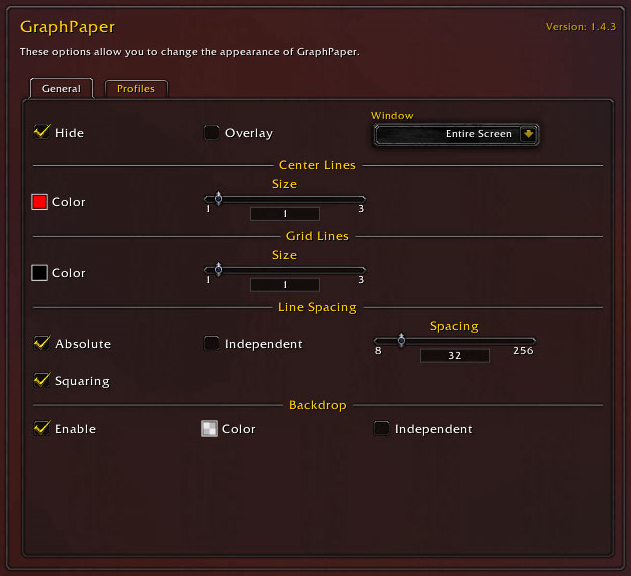 First off, love this addon. One addition I would suggest is an option to show/hide a blank texture that covers the entire screen and is at the lowest frame level possible. I use KGPanels for this and set the texture to white which contrasts with the black Graphpaper lines and makes it much easier to spot small mistakes. It can be difficult to see minor differences with the world in view because of the constantly changing contrast.